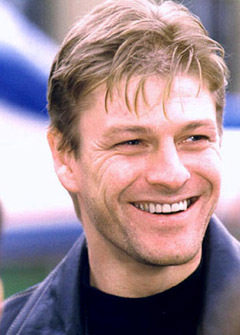 As a boy, Sean Bean ran with his local street gangs, but turned to boxing in his teenage years. Aimless and discontent, Bean worked in the cheese department at a supermarket, and eventually as a welder in his father's shop. He was 20 when he signed up for his first acting class, and friends thought the idea was so out of character they teasingly suggested he might be gay. Soon, however, Bean was a working actor in local stage productions, and soon after that he was finished with selling cheese. At 24 he landed his first film role, the rarely-seen Winter Flight, and for the next few years he worked on both stage and screen. In 1988, the 27-year-old Bean starred opposite Tommy Lee Jones, Melanie Griffith, and Sting in the gangster flick Stormy Monday. Through the mid-1990s, he played a cocky British military officer, Richard Sharpe, in a series of fourteen British TV movies based on the novels of Bernard Cornwell (Sharpe's Honour, Sharpe's Company). In America, Sean Bean has mostly been cast in spy movies and cop roles. He has menaced Harrison Ford in Patriot Games and James Bond in GoldenEye. In the Lord of the Rings trilogy, he played Boromir of Gondor. Bean married and divorced Abigail Cruttenden, who played his wife in the Sharpe TV movies.